Dallas County Republicans are pleased to announce our next and final speaker for the Dallas County Spring Speaker Series. This is the final speaker of our Dallas County Spring Speaker Series, and it will be held at the West Des Moines Marriott. The last headline speaker for the Dallas County Spring Speaker Series will be former Hewlett-Packard CEO Carly Fiorina on Thursday, May 7, with doors opening at 5:30 pm. “We are pleased to announce that former HP CEO Carly Fiorina will headline our final spring speaker series event. We look forward to having Mrs. Fiorina in Dallas County and learning about her experiences as CEO of a Fortune 500 company and how her leadership vision can help the future of our great country,” commented Chairman Tyler De Haan. Tickets to the event are $25 dollars and may be purchased at the door (RSVP by emailing dcgopia@gmail.com) or by going to www.eventbrite.com (Dallas County). All proceeds will go the Dallas County Republican Party to help fund voter registration, voter turnout and help all Republican candidates in Dallas County. 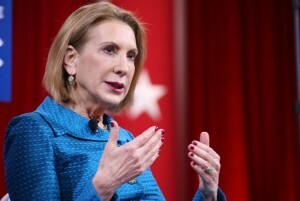 “We are very excited about hosting former CEO of HP Carly Fiorina as part of the Spring Speaker Series. This is a great opportunity for voters to meet Mrs. Fiorina, to hear her vision for America and to ask questions about key issues that face our country,” replied Co-Chairman John Strathman. Doors will open starting at 5:30 pm, with remarks from the speaker beginning at 6:00 pm and the event concluding at 7:00 pm. A cash bar and light snacks will also be provided as part of the event.